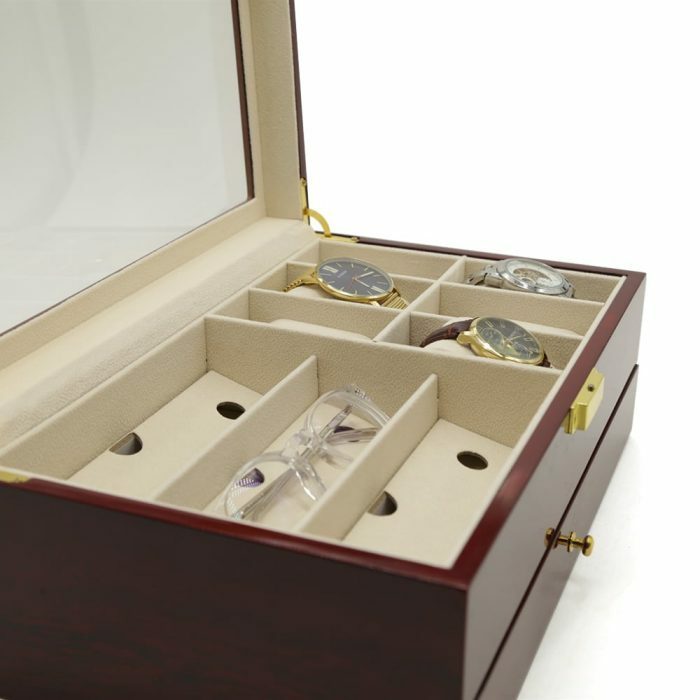 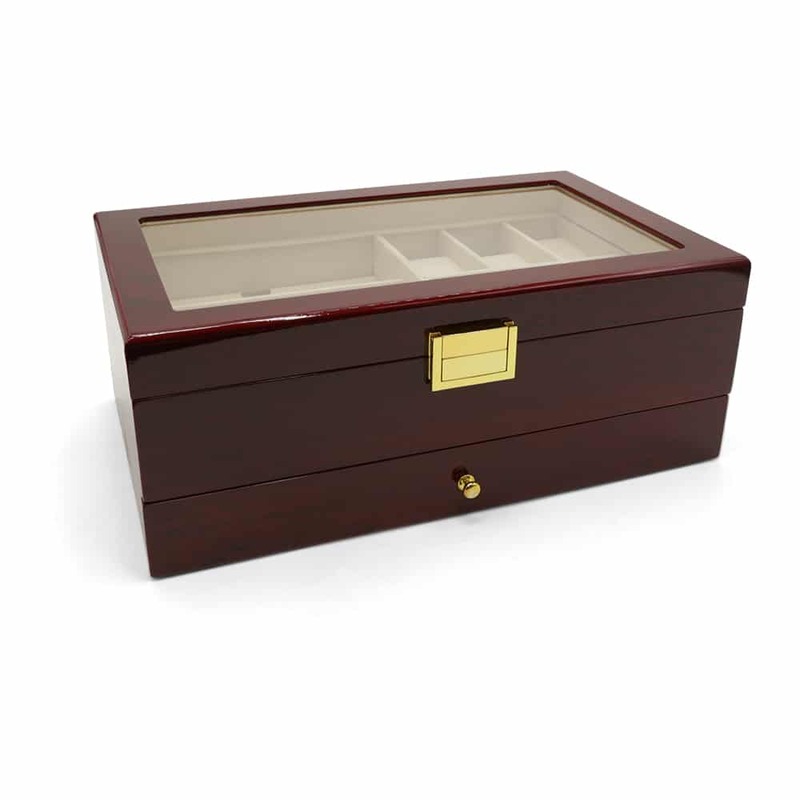 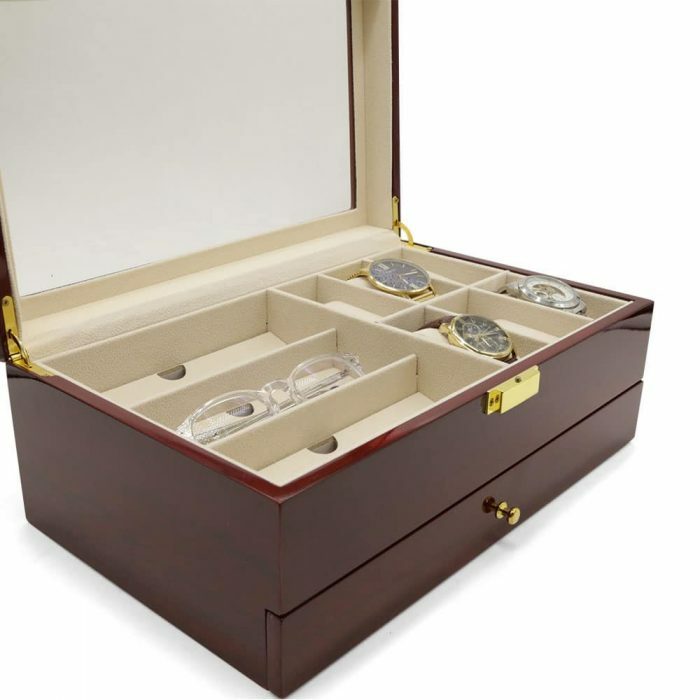 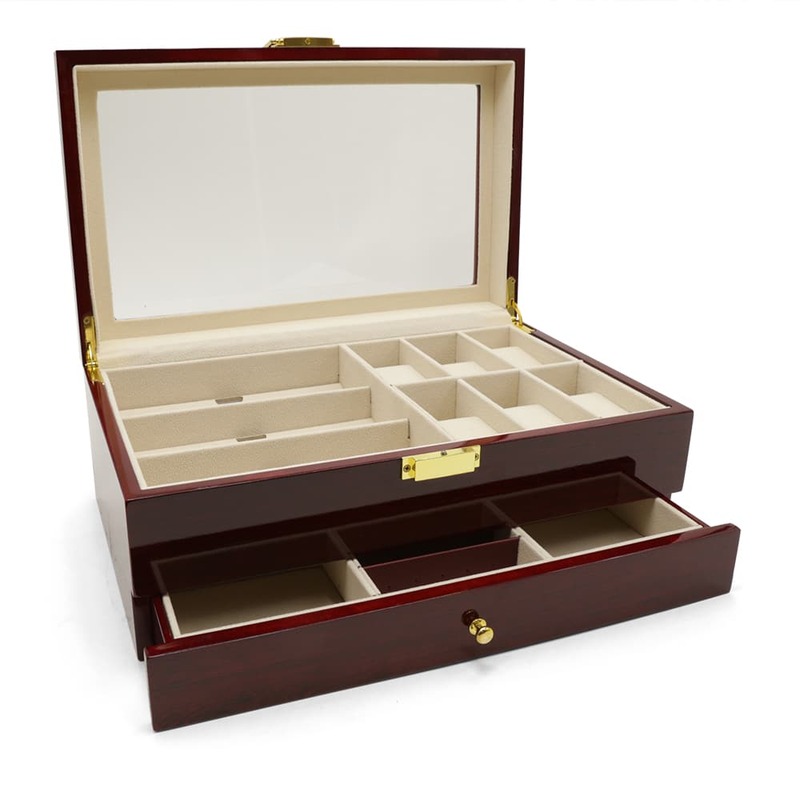 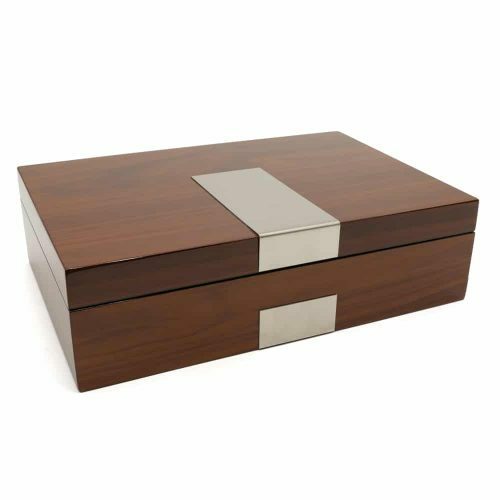 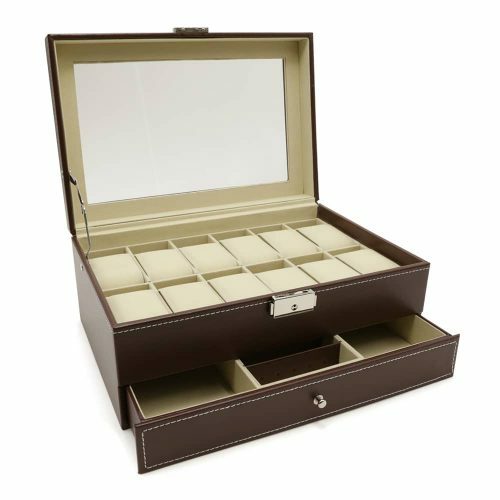 Keep your watches and jewellery dust-free with this Maple Mahogany Wooden 2 Level Watch Box Organiser. 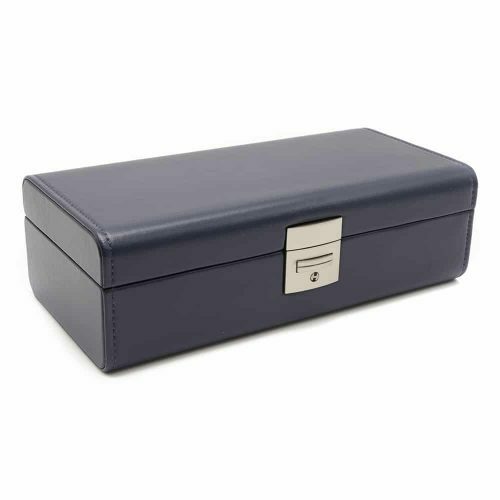 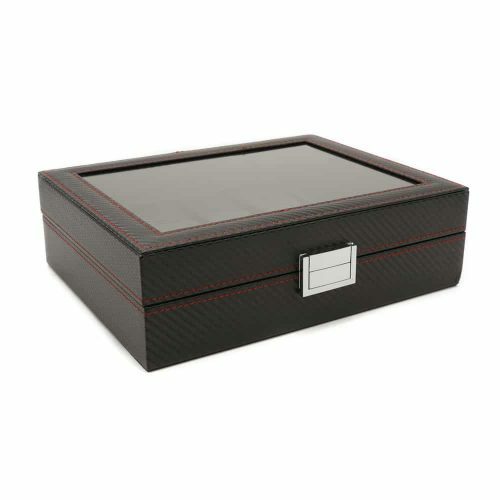 This elegant watch storage box has a clear lid to help you view your collection and select the perfect watch for the day. 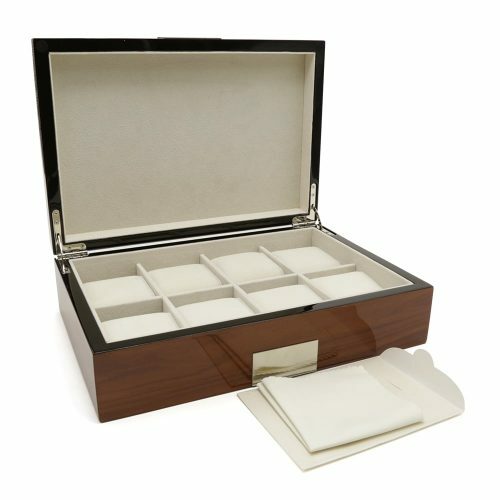 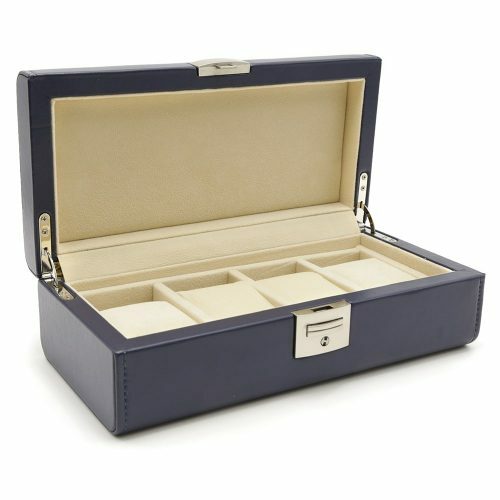 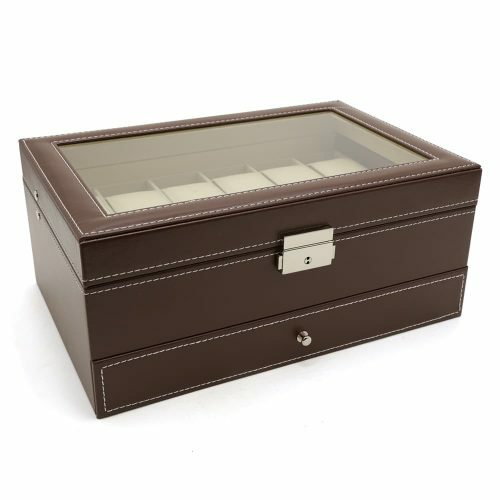 This wooden organiser has a maple mahogany exterior and a cream velvet interior with plenty of storage space. 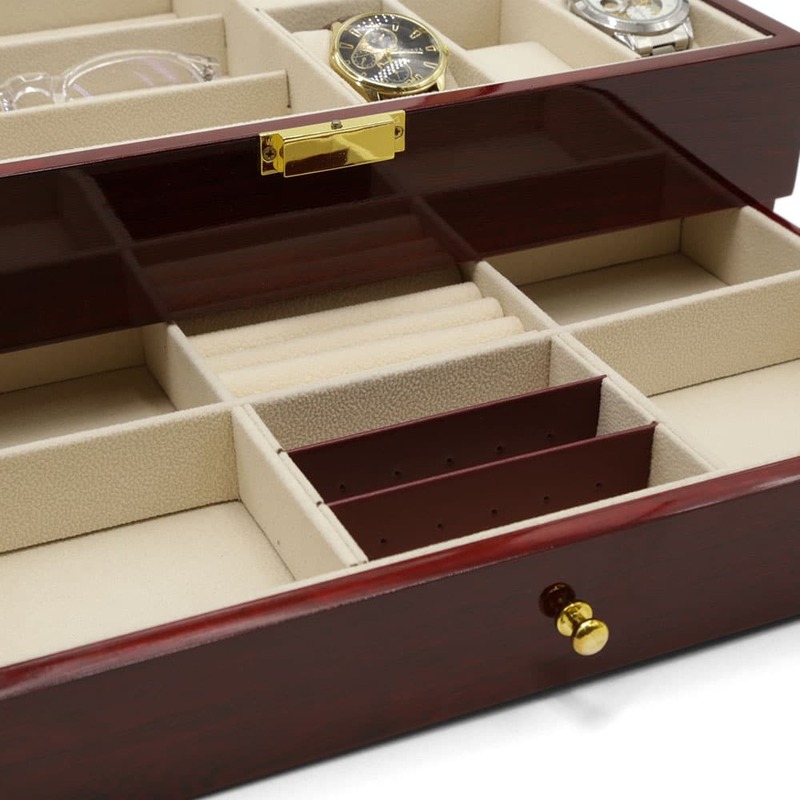 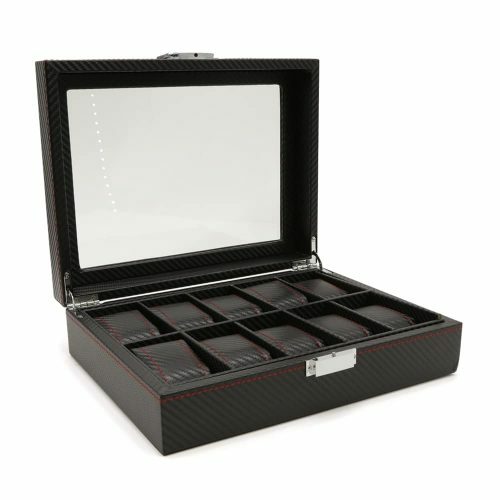 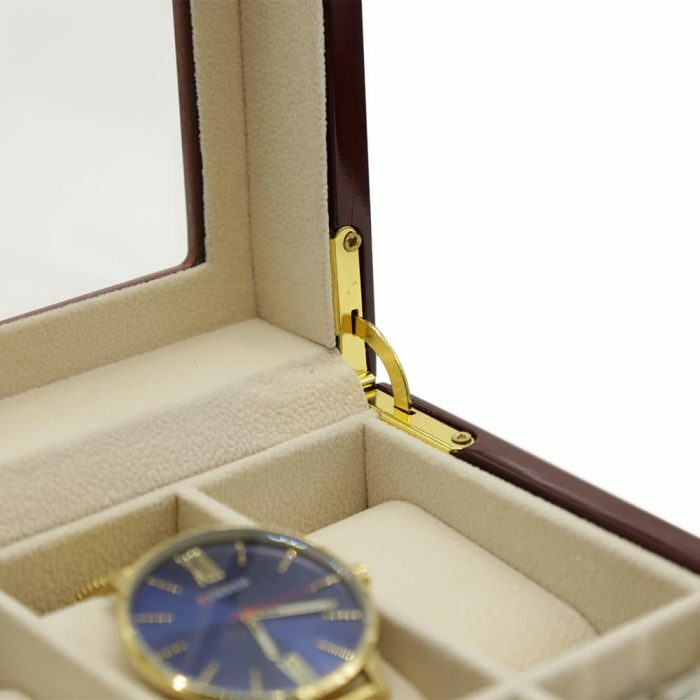 The organiser can hold up to 6 watches and 3 larger items on the upper level, while the lower draw below can be used for smaller rings, cufflinks, and other jewellery. 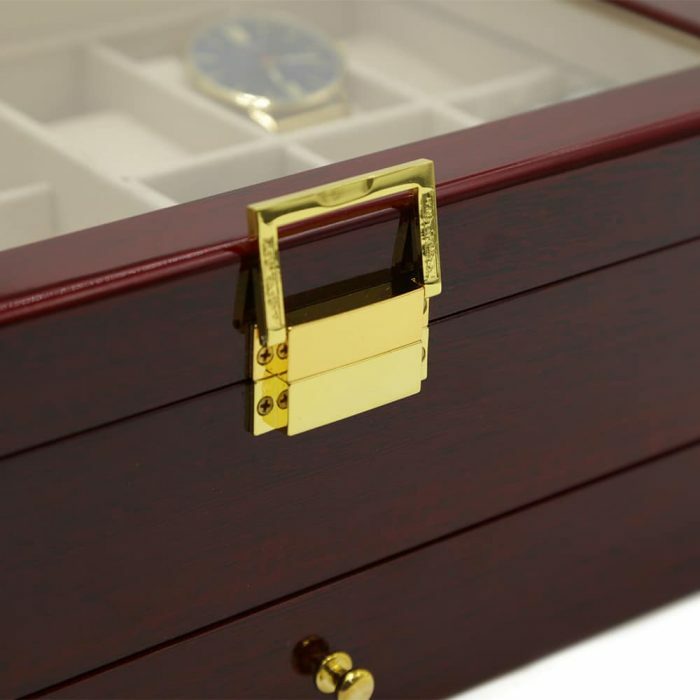 For further protection, the upper level has a latch in gold to ensure your valuables remain intact and scratch-free during transport.